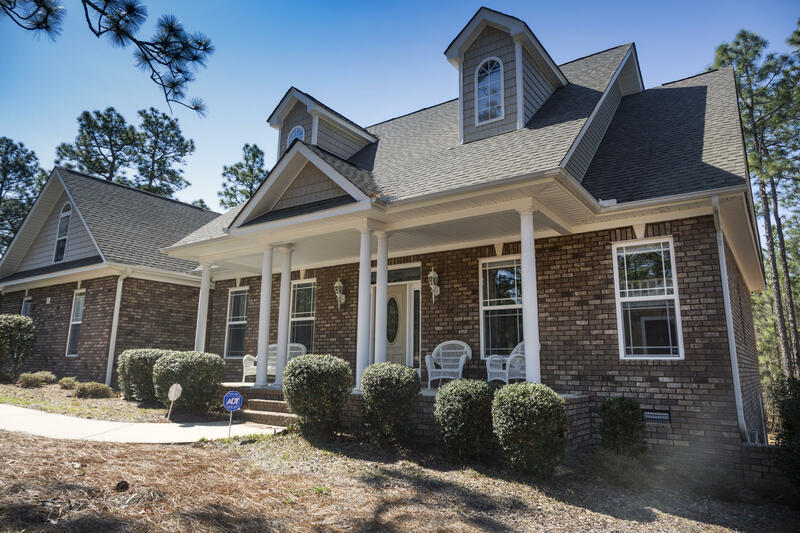 Stunning home in desirable Pinehurst No. 6! This 5 bedroom 3.5 bath home has many custom details, oversized corner lot, water view, and solar panels are just the beginning. Enter from the large covered porch into the formal entryway, enjoy the open floor plan perfect for entertaining! Chef's kitchen with double oven and brand new cook top! Master downstairs on opposite end of second and third bedroom for privacy. Conveniently placed eating space overlooks the screened-in porch, while you also have breakfast bar & formal dining room off kitchen with bar space and custom cabinetry! HUGE walk-in-closet off of master which leads directly into laundry space w/ utility sink.